As we gather in our homes this Thanksgiving, I am reminded of the concept of “house churches,” which has had somewhat of a resurgence in our world as of late, mostly in China and in other places where Christians are being persecuted. House churches are defined groups of Christians who regularly gather for worship in private homes. The group may be part of a larger Christian body, such as a parish, but some have been independent groups that see the house church as the primary form of Christian community. 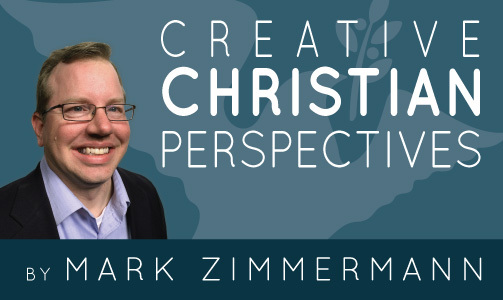 I recently talked with Jim Buckman, a missionary-at-large and a church planter in the New Jersey area, who explained that his approach to building churches was to start in the home. People feel more comfortable in their homes, they are surrounded by loved ones, and they are not caught up the structure of the organized church. 60 Minutes recently ran a story about The Influencers, those young millennials who are making videos on the internet and are hired by major corporations to influence the buying habits of millions of people all over the world. One commentator noted that a single video posted by an Influencer had more power and reach than any TV commercial, newspaper ad and magazine spread combined could ever garner. The story reminded me of what Malcolm Gladwell explained in his book The Tipping Point about “connectors,” who are the people in a community who know large numbers of people and who are in the habit of making introductions. These relatively few “connectors,” Gladwell said, serve as “agents of change” across a wide swath of economic, social and cultural arenas. These connectors led to the rise of the rise and popularity of Hush Puppy shoes in the mid-1990s, for instance. The spiritual birth rate just went up by one. I was at a seminar last year in which the topic was birth rates and how the birth rates among Christians have gone down, while the birth rates among other religions have risen substantially. Sadly, this lower birth rates among Christians has led to fewer churches and lower membership within those churches. Statistically, the fact of lower birth rates cannot be denied. But it got me to thinking that just looking at the physical birth rate does not show the whole picture. I have long been fascinated with birds. In fact, in eighth grade I declared that I wanted to be an ornithologist and I did my entire science fair project on which birds ate what types of seeds and suet from various types of feeders. Our family’s backyard became a bird Shangri-La for a time. Then I have recently realized that that I have many bird-themed items in my home that I look at every day. And it is something that Martin Luther urged strongly and the reason why he wrote the Small Catechism. So how are we to go about that in our busy lives? One suggestion is right there in the Scripture. Do it “when you rise” and “when you lie down.” Gather together as a family in the morning and before bedtime to pray and read Scripture and talk about how God helped you through the day and how God will give you strength for the day ahead. One of my favorite books growing up (and I think my mom’s too) was the Dr. Suess tale I Had Trouble in Getting to Solla Sollew. When the hero in the book stubs his toe, he decides to find a less troublesome place to live. Soon he’s off on a journey “to the City of Solla Sollew, on the banks of the beautiful River Wah-Hoo, where they never have troubles! At least, very few.” One image ingrained in my mind is of the main character sleeping on a bed of huge fluffy pillows. He never finds Solla Sollew, but in the process he gains strength to face his problems head on. That book came to mind recently when my doctor friend John Eckrich told our Bible class at church about areas of the world that researchers have called “Blue Zones.” They are places where people live into their 90s and more and are healthy and vital into old age. The seven “Blue Zones” are Sardinia, Italy; Okinawa, Japan; Nicoya Peninsula, Costa Rica; Icara, Greece; Oland, Smaland, and Skane, Sweden; and Loma Linda, California. They sound kind of like Solla Sellow, but I assure you that they are real places. My mom gave me this little plaque during a stretch when I was unemployed for several years after college and unable to land a full-time job. The image of a squat and forlorn little bird and the text of 2 Corinthians 4:8-9 seemed to capture my predicament at the time exactly. But I have kept that plaque and referred to it often through the years when I encountered other struggles and trying times that my 22-year-old self could never have imagined. It reminds me that the Word of the Lord can meet us again and again with the same words in whatever plight we may be experiencing and their effect on us can be just as powerful and uplifting as it was before. Wangerin spoke of the poor widow whom Elijah encountered in 1 Kings 17 during a time of drought. Though she had only “a handful of flour in a jar and a little oil in a jug,” she trusted Elijah when he said, “For thus says the Lord, the God of Israel, ‘The jar of flour shall not be spent, and the jug of oil shall not be empty, until the day that the Lord sends rain upon the earth’” (1 Kings 17:12, 14). She made a little cake for Elijah and then something for her and her son. And by the grace of God, “The jar of flour was not spent, neither did the jug of oil become empty, according to the word of the Lord that he spoke by Elijah” (1Kings 17:15).